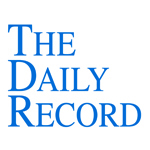 This week's Daily Record column is entitled "Book review: Kowalski envisions the future of law." I recently finished reading Mitchell Kowalski’s new book, “Avoiding Extinction: Reimagining Legal Services for the 21st Century,” which was published by the American Bar Association earlier this year. This highly informative and innovative book is written in narrative form and reads like a novel. At first, this took some getting used to, since I had an unmet expectation for character development, given the format. But once I got over that hurdle, it became readily apparent that the narrative format was a great choice because it made the complex concepts more easily digestible — and memorable. This book is about Mitchell’s vision of reinventing the delivery of legal services to conform with the 21st century world that we now live in. He theorizes that law firms that fail to do so will soon be extinct. He explores these ideas by following the path of a fictional and highly innovative law firm, Bowen, Fong and Chandri (BFC). As the story unfolds, we learn about BFC’s 21st century law firm and how it differs from the failing business model used by most law firms — one based on the billable hour and high-priced, increasingly mobile partners. Despite overwhelming proof that the current way that most firms operate is unsustainable, evidence of which is provided throughout the book, most law firms are nevertheless resting on their laurels, steadfastly reliant upon an outdated business model set to implode, just as Dewey & Leboeuf did. Mitchell envisions a world in the very near future where a typical large law firm discards traditional practices and embraces alternative billing and ownership structures, reduces overhead costs by outsourcing, and utilizes technology and collaboration to efficiently and effectively serve its clients. Of course, I was tickled pink when I read this, since the fictional cloud-based law practice management portal of the future envisioned in Mitchell’s book is nearly identical to the platform developed by MyCaseInc.com, the company for which I am now employed. 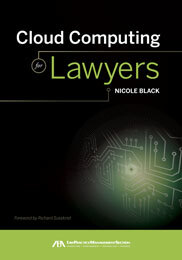 Knowing that Mitchell’s reimagination of the legal profession includes cloud-based platforms already in existence is heartening, to say the least. It means that our profession is on the right track. So, if you’re interested in understanding the pitfalls of our profession and learning how to avoid them and create a viable business model for your law firm, this book is for you. It is an instructive, innovative and engaging book about the future of the legal profession. I highly recommend it. Nicole Black is a Rochester, New York attorney and the Vice President of Business Development and Community Relations at MyCase, anintuitive cloud-based law practice management platform for the modern law firm. She is also a GigaOM Pro Analyst and is the author of the ABA book Cloud Computing for Lawyers, co-authors the ABA book Social Media for Lawyers: the Next Frontier, and co-authors Criminal Law in New York, a West-Thomson treatise. She is the founder of lawtechTalk.com and speaks regularly at conferences regarding the intersection of law and technology. She publishes four legal blogs and can be reached at nblack@nicoleblackesq.com.